Authors Tagging Authors: If this isn't love I don't know what is! Authors Tagging Authors: If this isn’t love I don’t know what is! I’m so glad to participate in this author-to-author blog tour before all the authors I’m acquainted are tagged! For this, I have Gary Markwick to thank. Gary is the author of Now It Begins, a self-help book that draws upon personal testimony and professional guidance to enable readers to take control of their lives. It’s a great book with excellent reviews! But this posting is really supposed to be about my work — cool, huh? 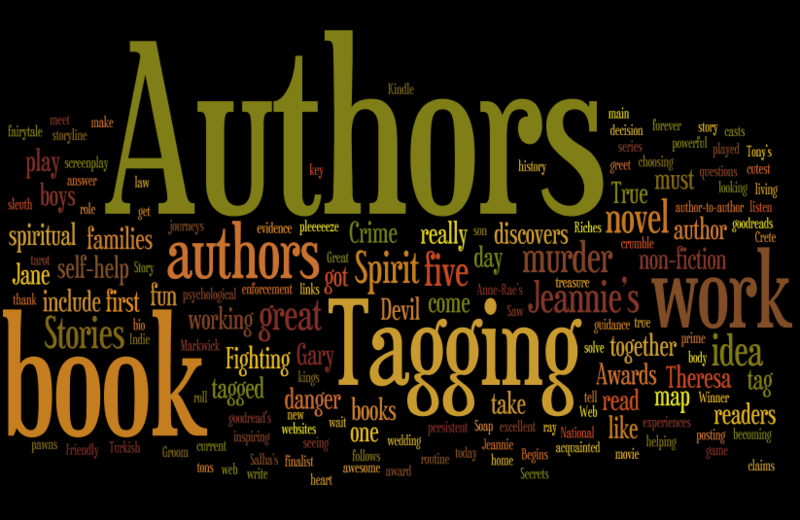 I get tagged by an author so I can write about my work and then tag five more authors who will do the same. What fun! Okay, so I must answer five questions about one of my books. 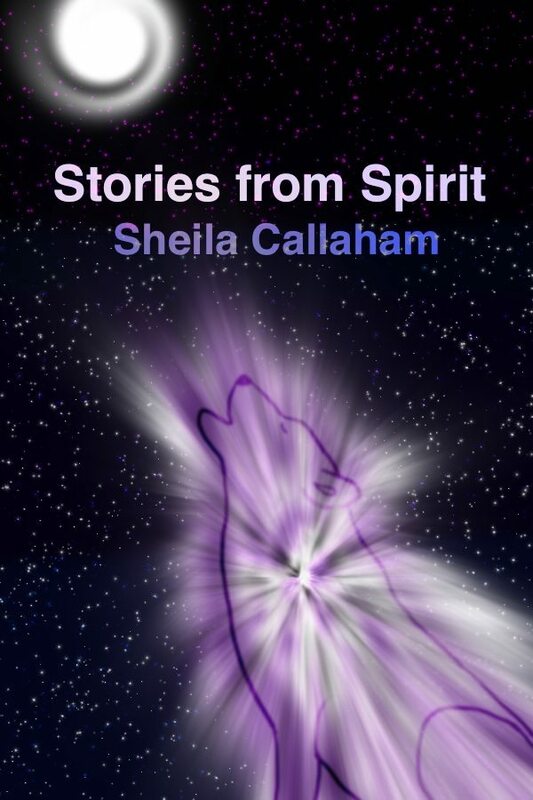 I’m choosing my newest book, Stories from Spirit, which will be released in early December on Amazon. Where did the idea come from for the book? I got the idea for the book when I went back and read a journal of my shamanic spirit journeys. 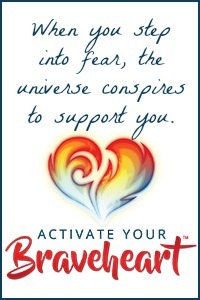 I realized that my experiences were really powerful and might inspire others who were on a spiritual path. What genre does your book fall under? Stories from Spirit is a work of spiritual non-fiction and self-help. Which actors would you choose to play your characters in a movie rendition? My book is a collection of fifteen stories and I would want to play the main character in all of them! What is your current work in progress? I’m working on a young adult novel about three American boys living in Cairo with their diplomatic parents. When one of the boys discovers a long-lost treasure map, it puts all of them and their families in danger. Even more danger follows when the families make the joint decision to follow the map to its great secret. This work is tons of fun because the idea came from my ten year old son and we are developing the storyline together! And now, drum roll pleeeeeze… for the five — no wait — six awesome, inspiring authors that I’m pleased to tag and whose work I can’t wait to read! Anne-Rae Vasquez: Anne-Rae’s novel, Almost a Turkish Soap Opera, was adapted into a screenplay and later produced into an award winning feature film and web series. Her other works include: Gathering Dust, Salha’s Secrets to Middle Eastern Cooking Cookbook, and Teach Yourself Great Web Design in a Week. Tony Riches: Tony’s first novel Queen Sacrifice was written after looking into the early history of Wales and seeing the parallels to a game of chess, with kings and queens, bishops and castles – and the people becoming pawns in their civil wars. He is also the author several non-fiction books, including of the best selling “for busy managers” series and Terra Nova; Antarctic Voyager. Jeannie Walker: Jeannie’s first book, Fighting the Devil, is a true crime book and a 2011 National Indie Excellence Awards True Crime finalist and 2010 Book of the Year Awards True Crime Winner. Fighting the Devil is a about the arsenic murder of a Texas millionaire, who was Jeannie’s ex-husband. She became a sleuth and played a key role in helping law enforcement investigate and eventually solve the murder. Jeannie’s other non-fiction books include: I Saw the Light; Thomas, the Friendly Ghost; and The Rain Snake. Theresa Braun: For starters, Theresa has the cutest goodread’s bio I’ve seen. Go take a peek and tell me if you agree. Her book Groom and Doom: A Greek Love Story gives a realistic portrayal of a day that ends up less like the fairytale so many girls dream of and more like a roller coaster ride without the brakes. Angela must listen to her heart when a tarot card reading before the wedding in Crete casts a ray of doubt on her happily-ever-after. Jane Isaac: In her psychological thriller, An Unfamiliar Murder, Jane tells the story of Anna Cottrell who discovers the stabbed body of a stranger after arriving home from a routine day at work. Anna’s life changes forever when she then becomes the prime suspect in the murder. Her persistent claims of innocence start to crumble when new evidence links her irrevocably with the victim. Lichen Craig: In his book The Gentlemen’s Game, when young playwright Greyson Foster attends a party at the penthouse of a millionaire, he has no idea how profoundly it will change his life. His journey will take him into spaces in his mind he never knew existed, bring him face-to-face with needs he never knew he had, and challenge him to travel to the precipice of lust, revenge, and love. You can find all of these authors and their books on Amazon and connect with them on goodreads — where authors and readers come together. Enjoy!